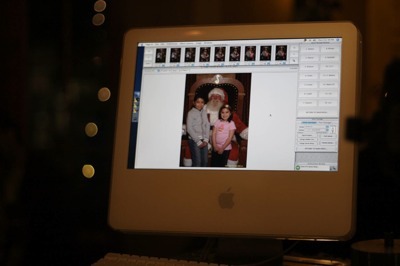 So my wife took the girls to get their picture with Santa and, as she was going to pick their picture, she discovered Santa uses a Mac! Why am I not surprised? I bet he also uses Quicksilver.